A flood sensor is a type of environmental sensor that is designed to detect leaks and the presence of water before serious damage occurs. These sensors are best used in the basement or in other parts of the home that are prone to flooding. 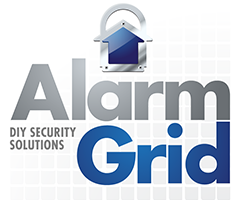 Purchase your next flood sensor from the Alarm Grid website. It doesn’t take long for a minor leak to cause some major damage. Whether one occurs underneath a sink or from a water heater, the end result can be a huge mess and some serious damage. But with a flood sensor, you can potentially save yourself from the hassle and expense. These devices are designed to respond to the presence of water in a location where there should be any sitting liquid. If the device senses a liquid, then it will activate and send an alert to the security system. The system can then alert the user to the trouble so that they can respond accordingly. In many cases, the user can then stop the leak before it becomes serious. An important consideration for flood sensors is that they are generally not designed to actually get wet. Instead, these devices usually have attached probes for sensing water. If the probe for the device detects water, then it will forward the issue to the actual sensor so that it can communicate with the security system. For many flood sensors, the probe comes included with the device. However, other flood sensors require a probe to be added separately. The ones that warrant a separate probe are most often the flood sensors that are designed to perform several different functions. One example is the Honeywell 5821, which also serves as a temperature sensor. A Honeywell 470PB Probe can be added to the device so that it also functions as a complete flood sensor as well. The functionality for the 5821 is determined by its Loop Number. Flood sensors are particularly useful when paired with an interactive service platform, such as Alarm.com or Total Connect. With these services, the user can have a notification sent to their smart device whenever their flood sensor activates. This way, a user could potentially rush home and intervene before the flooding becomes more serious. But if these services aren’t used, then a user might come home to find that their flood sensor activated several hours prior. At that point, it might unfortunately already be too late to really do anything about the flood. As stated earlier, it is the probe of a flood sensor that is actually used to detect any water that may be present. These devices can work in different ways, but a common detection technique is the “two pin” method. This method is used on water probes that feature two pins. For these sensors, both pins must be immersed in water for a certain period in time, typically only a few minutes. This detection technique is very reliable, and it can help prevent false alarms from occurring because of a very small amount of water that really is not a concern. Flood sensors can be wireless or hardwired to the alarm system. Although a wireless flood sensor is easier to set up, the device will require battery replacements every few years. A hardwired flood sensor on the other hand will require a wire to be run from the sensor to the system. But the device will never need to have a battery replaced.